"Puppetry reveals scandals and shows why Congress, courts, and other watchdog institutions fail to report key facts about even the biggest news makers. (..) Puppetry unfolds like a mystery extending over decades to the present. 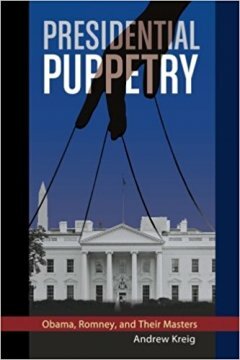 By the end, this compelling narrative documented with 1,200 endnotes shows hidden links between puppet masters, political leaders, spy agencies, and the economic austerity now being imposed on a hapless public. By exposing key secrets, it provides a roadmap for reform." It is striking how much the Western politicians, analysts and journalist talk about President Trump. Even a child would readily acknowledge that even the US president is probably not that important. In fact, the US president is probably much more of puppet than even the most critical social scientist are inclined to imagine. Western academic faculties continue to ignore the almost unimaginable influence of CIA and US 'security complex' with all its corporate think tanks and fronts notably the US' Council of Foreign Relations - Wall Street's Think Tank. The CIA is simply Taboo at Western Universities, so that 400 corporate CIA run fronts can run change the world without any academic tell the world about it, see my page CIA/Corporate Fronts Engineer the World. This way we have had 70 Years of CIA/Western Intel Agencies Global use of Terror Proxies, where Western 'intelligence agencies' install, fund and arm terror groups around the world. And corporate power relations continue to use the Western military for their own profit making. It is going on, because the logic is suppressed. The academic world generally work as if is was paid to systematically cover up the truth about the Western insanely illegal wars. The logic is at best researched in the outskirts of the academic institutions. But people are even more systematically kept in the dark by the Western media systems, fundamentally controlled by huge corporate companies. And as the Western academics never tell the most critical truths about such things, how should people be able to suspect the colossal CIA apparatus that infiltrate those systems and feeds them the lies? Not likely, especially as the CIA Global Propaganda Apparatus literally is unimaginably colossal. Let us roughly estimate a million 'think tank' propaganda reports produced every twenty years and hundreds of thousands academics using these reports to produce 'scientific' knowledge to inform Western peoples and journalists about reality. How many academic not to talk about journalistic books and articles based on US propaganda sources are we talking about? You do the math. But even with this rough calculation it can surprise no-one that people can be persuaded to believe its lies. It is not only that such incredible important facts are not researched and publicly explained by Western political scientists. In fact, the very opposite happens as Western academics uncritically engage in enhancing the power of the propaganda system. The 'information' given by the think tanks' hired hands and the corporate journalists are more or less uncritically used by Western academics and journalists as credible sources of information. Therefore, we can consider Western academics and journalists as CIA's most useful idiots. Moreover, it is not only so that Western social science faculties and academics systematically legitimize corporate sponsored 'academic knowledge and information as reliable. Western academics even defend the corporate fabricated lies as if their careers depended on it. 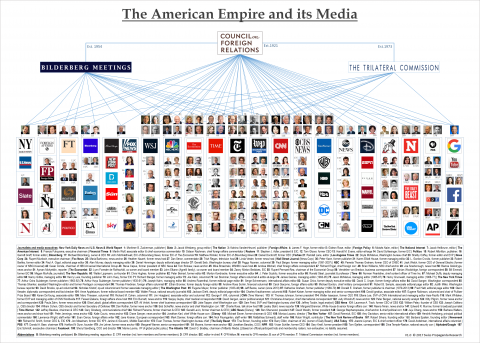 They mock and stigmatize the very media and analysts that provide independent and critical information, inclusive provide crucial information about the CIA's influence and the Western nations illegal wars. Ask any academic about a site such as Global Research and similar and he will immediately respond that it is a 'conspiracy site'. In short, Western academics embrace the corporate fabricated knowledge, while effectively hinder academics and other people from taking the only information seriously, which can liberate them from the corporate lies that chain them. See my HS Recommended Media here. Proof that the 'alternative' media are trustworthy lies in their records of informing truthfully on earlier wars, even before and while they happened. Exactly the opposite record of the Western public 'intellectuals' and the mainstream media. Everybody can go back in time and compare what sites such as Global Research explained on former US wars compared to media, politicians and analysts said in the Western public spheres. In fact, if one looks at the evidence and thinks logically about it, we know that the Western states today are totalitarian today. Here is a logical proof. Today we know, and the British Parliament has reported it as a fact, that basically all information leading up to and under the NATO war on Libya was false, see Homosociologicus.com/libya. We remember or can go back and research all the given information for everybody to see, that there was No oppositional information on Libya then. This lays bare the naked truth. Because, when we know today that basically all information was false and nobody contradicted the information then, then we know for a fact that everybody talking about Libya then, all politicians, all academics and all media shared the same lies. There is simply no way of denying it. It is what Karl Kraus and Ludwig Wittgenstein called a one-and-a-half-truth. But what is even more important is that practically no analyst, no politician nor any media have apologized for this; nor have they changed anyting about their reliance of such sources of information. In short, we know that they continue to lie in concert. Now on Syria. As it happens, I have researched credible sources on Syria for years, and I can tell you with a researcher's absolute conviction that practically everything that the Western media, analysts and politicians have said about Syria for the past seven years (and decades before this too) is blatantly false. See Homosociologicus Syria as well as my other pages on other wars. My page with Media Critique shows how CIA hired hand academics write propaganda books and newspaper articles that are then taken as trustworthy information by 'naive' Western politicians, analysts and journalists. 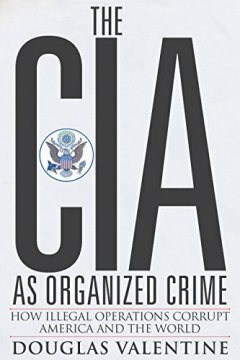 Simply by not asking critical questions about the sources of US information everyone is an effective tool for CIA's schemes. All this tells us that only by doing the exact opposite of, what the Western academics do. Namely to implement a classical radical scientific doubt towards Western think tanks, corporate media and our political leaders, if one should have a chance of getting to the truth. Western academics (generally) do not research 9/11. We should not forget here that academics - have lost and continue to - risk losing their job for asking critical questions about 9/11. This way our universities are effectively controlled to cover up for the official 9/11 explanation - provided by Bush/Cheney appointed people. Even though the official explanation defies the laws of physics and is completely untrustworthy on so many, many other aspects. See my page on 9/11. So Western academics do the same today as they have done for decades on the JFK murder, even though it is enough to watch one lecture by an esteemed US pathologist to know that the official Warren Report is a complete lie. See the lecture on top of my JFK page here. What is no less important is that political science and academic historians (generally) continue to suppress the most important causal knowledge about the great world wars in the 20th century, namely that Big Business was behind WW1 and WW2 Nazism. This has made the Western populations blind to dangers today, where big business once more seem interested in a war with Russia. Our academics cannot only not tell you about these things. In fact, they will say that such ideas are 'conspiracy theory'.